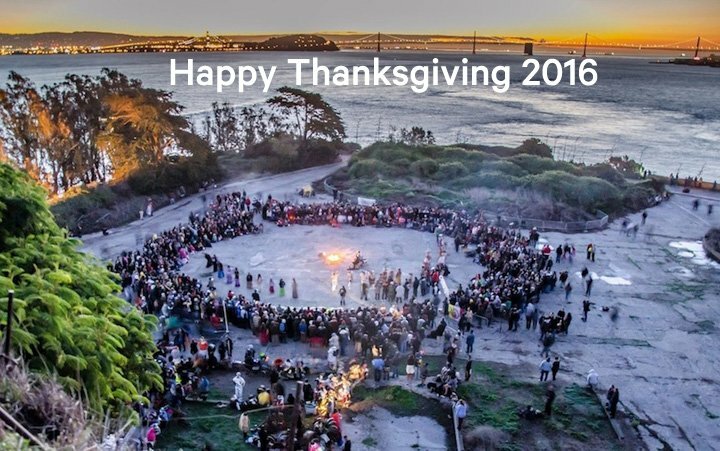 Happy Thanksgiving to all who read this blog, and may this day bring you much to be grateful for in living with family, friends, and coworkers in our beautiful, bountiful city. Today the city is gobble, gobble, gobble, busy, busy, busy with turkey-and-dressing traffic as we San Franciscans crisscross the city for the ultimate big-eating dinner with family or friends or to restaurants (booming today). Or off to the supermarket (the ones that are open) to get things forgotten. But SFO has been taking the cake (actually, pumpkin pie) for being stuffed with travelers. The always predicting AAA is saying that more people will travel for Thanksgiving fests in 2016 than have since 2007—the year before the big real estate and bank crash. There’s been long, long lines at SFO but no delays reported over the past few travel days. SFO officials are projecting that 6.5 million people will be traveling through the airport during the holiday season—from Thanksgiving through Christmas and New Years 2017. And about 160,000 turkey travelers will be coming home this Sunday through the airport—probably a couple of pounds heavier.